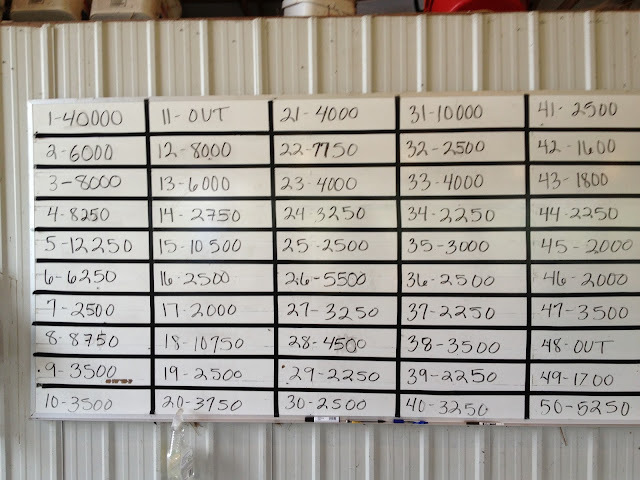 Bid board as of Sunday, September 8, 2013 at 4:00 pm. You can also call or text for updates. Reminder bids close at 6:00 pm. 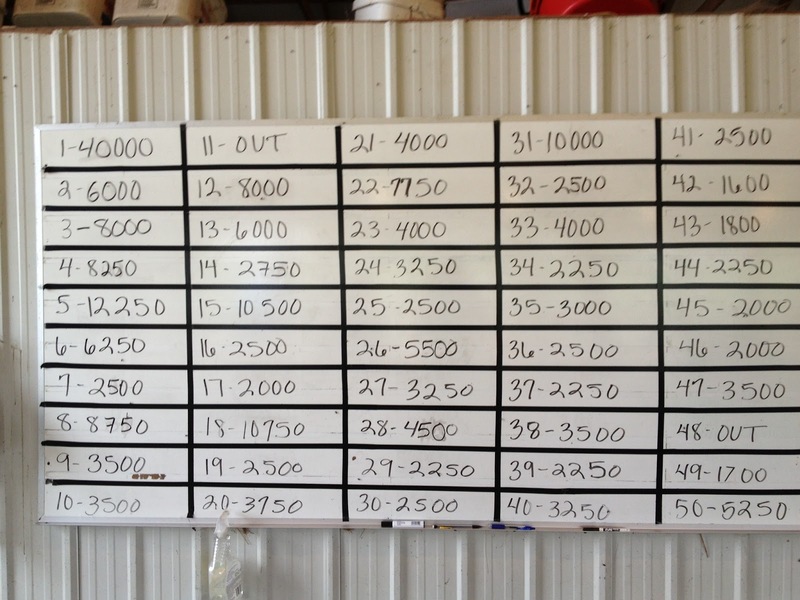 Bid board as of Sunday, September 8, 2013 at 1:30 pm. You can also call or text for updates. Reminder bids close at 6:00 pm. 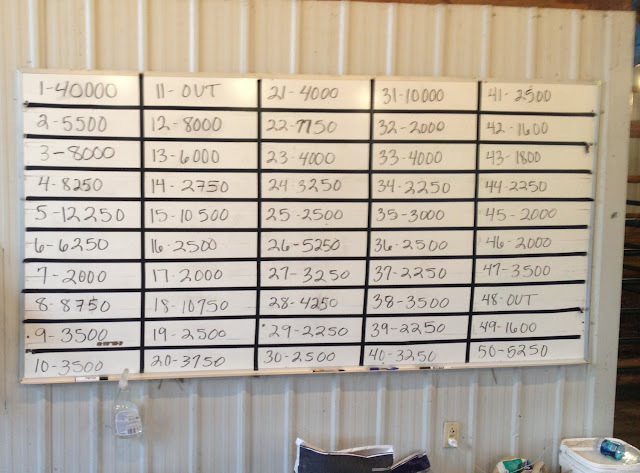 Bid board as of Sunday, September 8, 2013 at noon. You can also call or text for updates. Reminder bids close at 6:00 pm. Bid board as of Sunday, September 8, 2013 at 10:30 am. Check back throughout the day for updates. Bids close at 6:00 pm tonight. You can call or text any of us for updates as well. 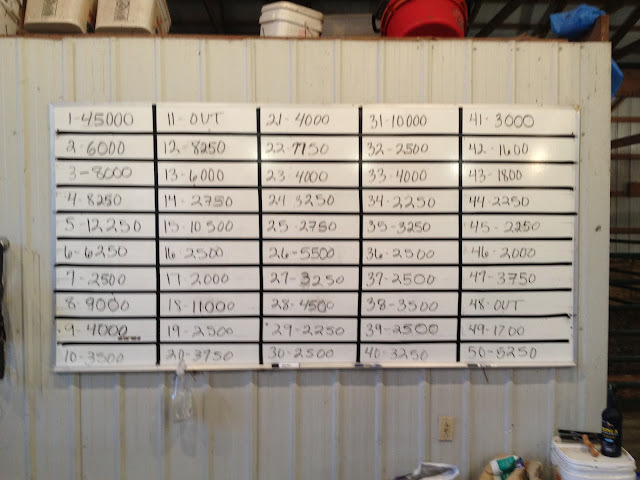 Bid board as of Saturday, September 7, 2013 at 7:00 pm. 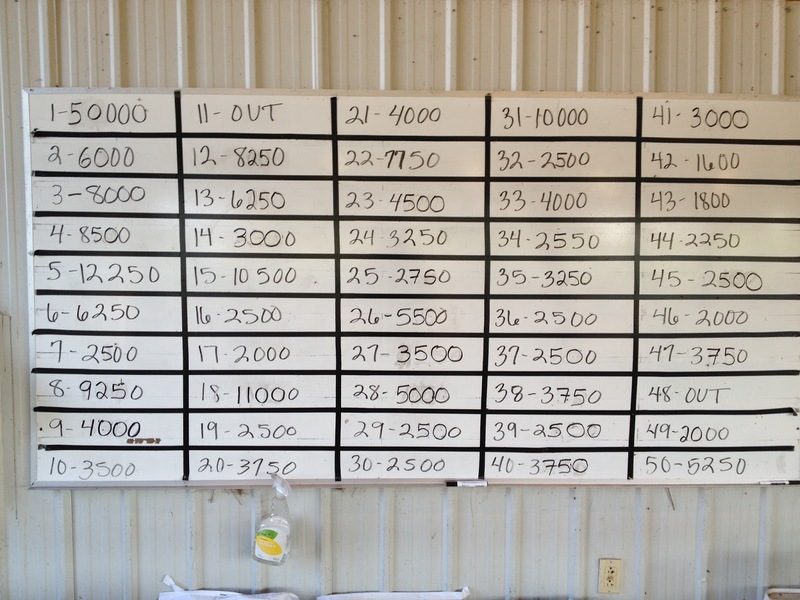 Bid board as of Saturday, September 7 at 9:00 am. Bid board as of Thursday, September 5, 2013 at 10:30 pm. Reminder bids close this Sunday at 6:00 pm. 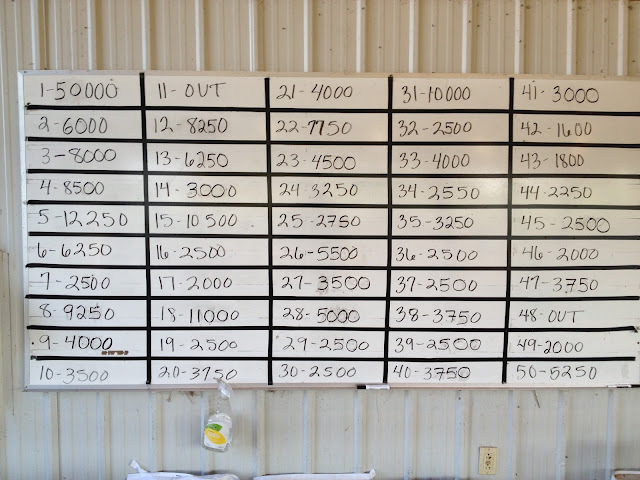 Bid board as of Tuesday, September 3 at 9:00 pm. Bids close Sunday, September 8 at 6:00 pm. 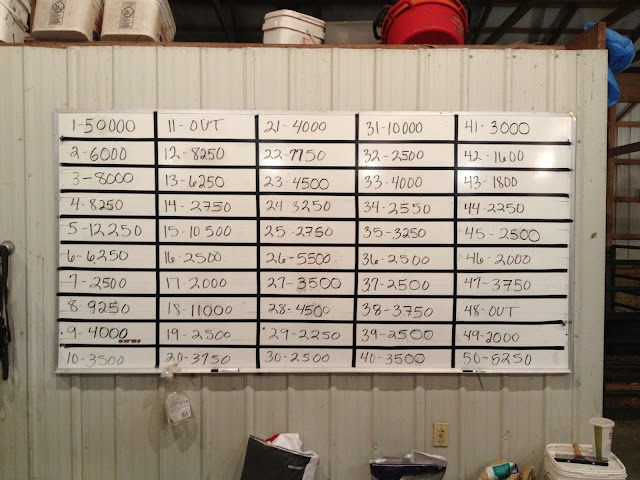 Bid board as of Monday, September 2, 2013 at 8:00 pm. 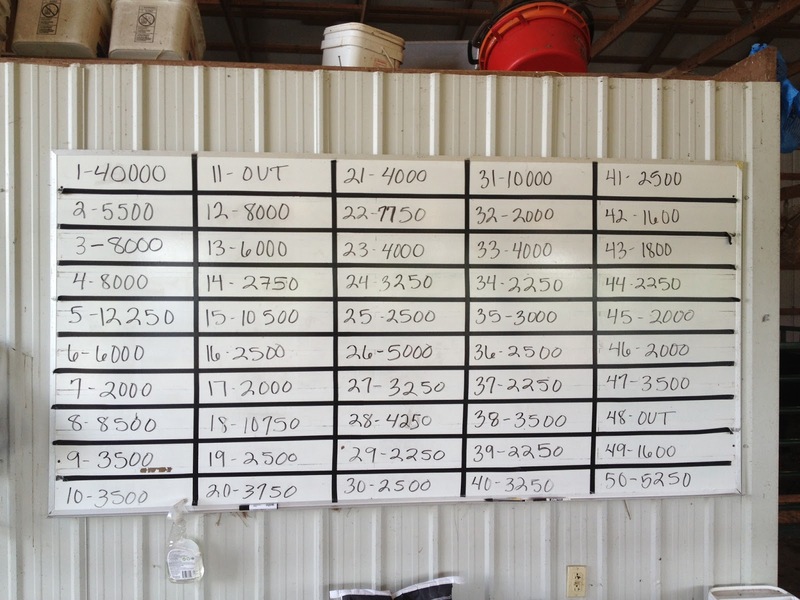 Bid board as of Monday, September 2, 2013 at 12:30 pm. Bid board as of Sunday, September 1, 2013 at 9:00 pm. Bid board as of 1:00 pm Sunday, September 1, 2013. One week until bids close. 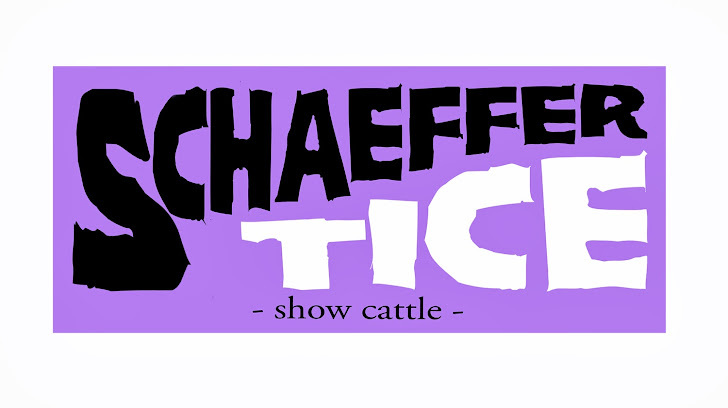 Be sure to get out and view the cattle.